Up until now the county of Warwickshire has been best know for its history (think Shakespeare and Warwick castle) but that may be about to change if Cluff Coal and the government have their way. At least for 41 square kilometres (16 square miles) of the Warwickshire countryside centred on the place where the River Leam intersects the ancient Roman road, the Fosse Way, which might soon be far better know for its potential future, rather than its past. This area of countryside, halfway between Leamington Spa and Rugby, is the subject of an application (PDF file) for an Underground Coal Gasification Licence, one of three recently announced. Underground Coal Gasification (UCG) is an extreme energy extraction process which involves setting fire to coal seams underground. It uses similar drilling technology to Shale Gas and Coal Bed Methane (CBM), to inject air or oxygen and bring the resulting synthetic gas (syngas) to the surface. UCG has never been use on the scale now envisaged, and with the exception of the a handful of small plants in the Soviet Union, has never got past the testing stage. Previous trials have been associated with explosions and severe groundwater contamination by the toxic and carcinogenic chemicals produced in the process. As with all extreme energy processes UCG is much more polluting, dangerous and expensive than previous energy extraction processes. The combination of the toxic coal tars that are a byproduct of the process and the fact that the gasification is done out in the open environment means that contamination of groundwater is all but inevitable. The massive stream of waste produced (around a cubic metre of contaminated water per ton of coal gasified) is also a huge problem and another source of contamination. The extreme nature of the process, piping superheated toxic and explosive gas up to the surface also means that catastrophic accidents can occur. See our recent article Underground Coal Gasification: Creating Hell On Earth for more details. UCG is already threatening areas around the coast of Britain. Until recently, Swansea Bay, where one start-up company owns a licence, has appeared that it might be the most advanced project. Now however, Five-Quarter Energy are threatening to start drilling in their licence blocks off the coast of Northumberland sometime this summer. The company has four licences running up the coast from Newcastle to Alnwick. Up until now the 24 UCG licences the government has given away (see black licence blocks on this map) have all been just off shore, in an apparent tacit admission that the process is likely to contaminate ground water. Five-Quarter has proved highly savvy in acquiring government help with furthering its plans. In 2011 Five-Quarter director Paul Younger was involved in drilling a 2km deep geothermal borehole in the centre of Newcastle, using government money. Coincidentally the borehole also gathered data on a number of coal seams that Five-Quarter are interested in. Last October Five-Quarter received a £15 million grant regional development grant to help them build a Underground Coal Gasification plant at Blyth, in Northumberland. The company also has links to the Duke of Buccleuch, the largest landowner in Europe, and appears interested in expanding into Scotland. The applicant for the Warwickshire licence is Cluff Coal, who recently announced that they are in the process of applying for four new licences for UCG. Two of these licences have since been awarded, one is off the coast of Cumbria, and one in Largo Bay in the outer Firth of Forth. Cluff also has existing licences near Kincardine in the inner Firth of Forth, the Loughor Estuary in South Wales and the Dee Estuary between the Wirral and North Wales. Cluff Coal is a subsidiary of Cluff Natural Resources, which was founded Algy Cluff in 2012. Algy Cluff is mainly known for looting Africa’s natural resources, in particular gold, platinum and diamonds. The area of Warwickshire countryside that Cluff is seeking to licence clearly demonstrates that anywhere with coal underneath it is now at risk. 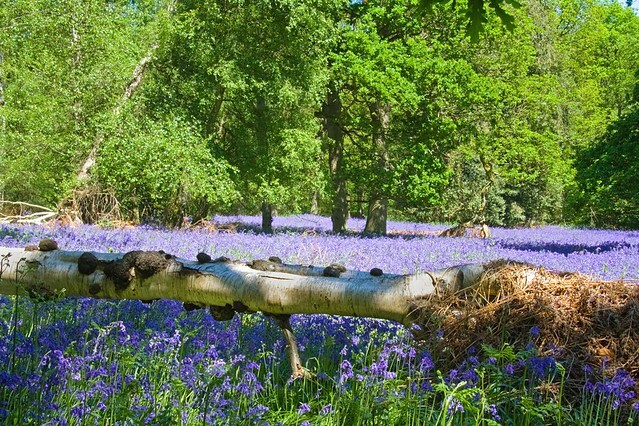 The area includes the most significant concentration of ancient woodland left in Warwickshire today, with Ryton Wood in particular described as one of the country’s largest surviving semi-natural ancient woodlands and a Site of Special Scientific Interest (SSSI). One of the largest landowners in the area appears to be the Warwickshire Wildlife Trust, which manages a number of nature reserves in the area. It is unclear to what extent the Trust are involved in these plans, but one look at their list of corporate sponsors which includes include the National Grid, fracking bank HSBC and oil company ConocoPhillips, shows why they might not be in a position to raise any objections. While the sleepy villages of Marton, Weston under Wetherley, Princethorpe, Birdingbury, Hunningham and Eathorpe are likely to bear the brunt of any development the impact would likely spread over a much wider area. As with existing offshore UCG licences there are significant population centres nearby. Around half a million people live within five miles of the proposed licence block, including most of Coventry, Leamington Spa and Rugby. The River Leam, which flows through the block, continues on through Leamington Spa, before joining the River Avon which in turn after flowing though Worcestershire and Gloucestershire joins the River Seven. This could easily provide a mechanism to spread the resulting pollution as far as the Bristol Channel. Also the nearby reservoir, Draycote Water, which supplies Coventry and Rugby is filled from the river Leam at Eathorpe, within the proposed licence block. In addition, the licence is within a much larger area (PDF file) identified by the British Geological Survey as being suitable for UCG which covers an area of 128 square miles (332 square kilometres). This area includes most of Coventry and Leamington Spa. If UCG is allowed to gain a foothold in the UK, it will inevitably spread to all areas where there is coal underground that can be burned. The prospect of UCG becoming widespread in the UK presents a truly nightmare scenario. Already licence blocks ring the coast, many near major population centres, like Swansea, Liverpool, Newcastle and Edinburgh. If this licence in Warwickshire opens the floodgates for further onshore licencing across the UK, which seems highly likely, then we face the prospect of the coal under our feet being set on fire, as well as being surrounded by toxic seas. Stopping UCG in its tracks soon, is the only alternative. This entry was posted in News and tagged Underground Coal Gasification, Featured, Warwickshire, West Midlands, East Anglia, Cluff Natural Resources. Bookmark the permalink.